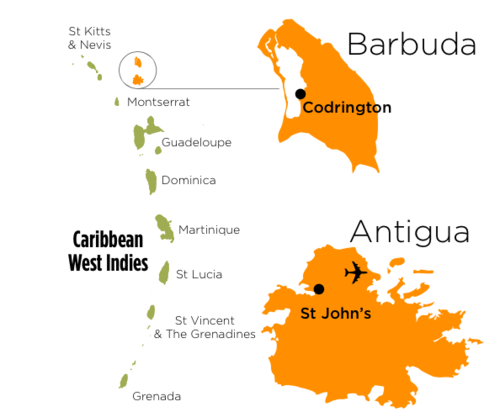 Citizenship in Antigua and Barbuda – Let Us Help! There are plenty of benefits available to those that hold citizenship for Antigua and Barbuda. While citizenship certainly has its benefits there are some caveats to obtaining citizenship. It is very difficult to file the application on your own. One part of the process requires that “applicant must apply on the prescribed government forms which can only be submitted through an Agent who is the holder of a Citizenship-by-Investment program license granted under the Regulations.” We can help. Our agents are licensed to handle your application. The entire process from start to finish takes between 6-9 months. While this may seem like a long period of time to wait, we do everything in our power to expedite the process for you. This particular citizenship is impossible to obtain on your own without some expert support, because all the applications must be submitted through a Licensed Agent. The process can be simple when you have a well-heeled professional at your side helping you to navigate through the red tape of the government agencies that are involved in the process. Our services are fast, easy and affordable options that are geared toward helping you meet your citizenship goals. There are several different options for citizenship through investment in Antigua. There are some other caveats that you will have to adhere to once the passport is issued that we can discuss with you. For more information about all of the CIP’s available in Antiqua please contact one of our well informed agents that are standing by ready to assist you! Call today for your free no obligation consultation so that we can discuss your goals and map out a way to get where you want to be! We offer a completely transparent process that is built on our expert experience. The first step in the process is to make the call to one of our agents and agree to the terms, we will start your application immediately!